Dead Island is a new first person survival horror title being developed by Techland, the company behind the Chrome series and Xpand Rally. The game is said to be a shooter with some RPG elements, prominent focus on melee combat, and a non-linear or “sandbox” game mechanic where the action is open-ended. 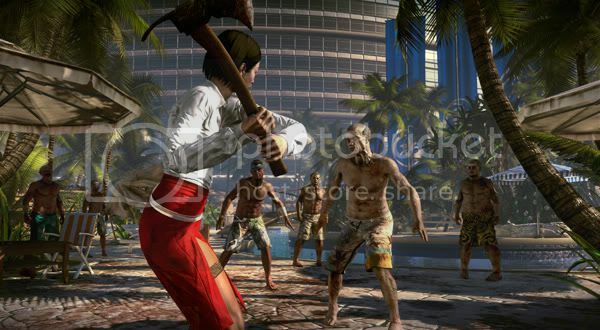 The developers have also revealed that Dead Island will feature a clear and original story where your character will be challenged to brave the zombie-infested island—which will be heavily influenced by George A. Romero films. There will be multiple playable characters as well as 4-person drop-in/drop-out cooperative play. Players will be able to use nearly any object as a weapon and be forced to make decisions that affect enemy behavior and surroundings. As the island is plunged further into chaos, you will need to unlock the island's hidden secrets and explore the darkest areas of this tropical paradise gone wrong. In April of 2010, it was announced that Deep Silver, Techland's publishing partner for Nail'd would be assigned the same role for Dead Island. Shortly after, the developers stated that progress on the game was coming along nicely and that they were dedicated to finishing the project. There have been numerous rumors regarding the game's development and release date but Techland has scheduled a 2011 launch on Xbox 360, PS3, and PC. It is speculated that the title will use Chrome Engine 4, the same engine that powered Sniper: Ghost Warrior, but this has not been officially confirmed. No actual release date has been announced for Dead Island but there is likely to be newly released information on the title very soon.